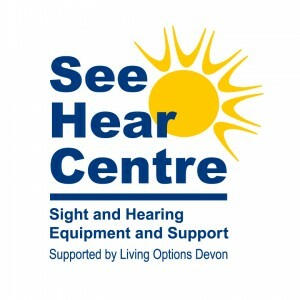 The See Hear Centre, based in Barnstaple, provides assistive equipment demonstrations, a ‘try before you buy’ loans scheme and an information and advice support service for people with sight and / or hearing loss. Part of Living Options Devon – the respected disabled peoples’ user-led organisation – the Centre is open from 9.00am to 5.00pm every Tuesday (without an appointment) and by appointment on other days. Other services available include training in Skills of Seeing (Eccentric Viewing and Steady Eye Technique) and communication skills (using IT, texting, emailing, using the internet, lip reading, etc.). Its community based service See Hear on Wheels (SHoW) takes equipment demonstrations, loans and hearing aid care services right into the heart of local communities, visiting 28 different locations in North Devon, Torridge and Mid Devon. The fully accessible mobile service also visits sheltered housing schemes and residential homes in the northern Devon area.